You can dispose of computers and computer monitors for free at E-waste recycling sites in San Luis Obispo County. Several local businesses and organizations also accept computers for reuse, refurbishment or recycling. Accepts computers and related equipment. No monitors. Call first. 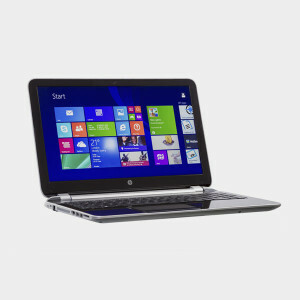 Accepts used computers, software and accessories. No monitors. Accepts computers, laptops, monitors and other office electronics, which are repaired and donated to school-age children, families and others who are in need of a computer with limited means to purchase a new one. Accepts computers, monitors, keyboards and other electronics. PIck-up available for a fee. Computers contain many metals like mercury, arsenic and lead that are harmful to human health and the environment. Never throw them in the trash because they can leach into the water and soil. Before recycling your computer or tablet, make sure you remove all sensitive and personal information from it first. Deleting files won’t do the trick; you’ll need to completely wipe your hard drive. Learn more from Brown University and Stanford. Best Buy will recycle old computers and many other home electronics for free; they also offer a trade-in program for more desired electronics. They accept up to three items per day from each household. Find a location. Staples offers free, in-store recycling for unwanted electronics, including desktop computers, tablets, monitors, printers, and other electronics. Locate your nearest Staples. Donate laptops and smartphones less than 7 years old to InterConnection’s Charitable Computer Reuse and Recycling program. Laptops must be able to turn on, and smartphones cannot have a broken screen. Hard drives will be wiped as soon as items are received. Download a free shipping label here. Instead of buying a brand new computer, consider buying a used or refurbished model. Most major computer retailers sell refurbished computers, such as Apple, Dell, HP, Lenovo and Best Buy. Many online stores like Amazon, eBay, Newegg and TigerDirect also sell used and refurbished devices.